We are already at Week 7 at AcceleratorHK! The teams are hard at work building their MVPs and doing Customer Validation before we take a two week break for the holidays. All the teams are staying in Hong Kong over the holidays and are continuing to work, there are just no scheduled Accelerator programs. The clock is ticking until Demo Day on February 6th! We started off the week right. On Monday we had a great mentor, Viresh Bhatia, come on in and spend a lot of time with each team. 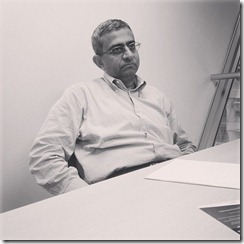 Viresh is an experienced entrepreneur as well as the chair of the Telerik Board of Directors. Viresh was also impressed with the mobile adoption in Hong Kong as well as Samsung’s market share in Hong Kong (specifically the popularity of the SIII and NoteII). We continued our 1:1s on Monday and Tuesday as most teams are now building prototypes and MVPs. Two of the teams apps are already on my phone! We had an additional mentor, Peter Burton, come in on Thursday. He only had a short amount of time and met briefly with a few teams and made some connections to people they all should talk with. We also convinced Peter to flash his old Samsung Galaxy S to Cyanogen Mod 10.1 and Android Jelly Bean 4.2.1. He proved his geek cred by coming in the next day with his flashed phone. Note: A lot of the cohort members, including Paul and myself, run Cyanogen MOD. 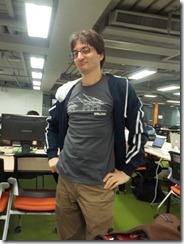 If you are in a mobile app accelerator, you may as well be flashing phones! 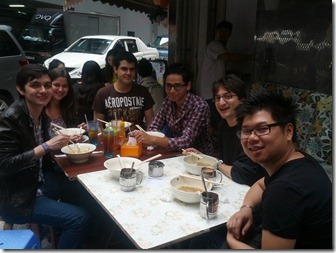 In addition to all of the hard work we also had a little bit of fun exploring Hong Kong cuisine. One day at lunch we got to see the Mexican team use Chinese chopsticks for the first time. 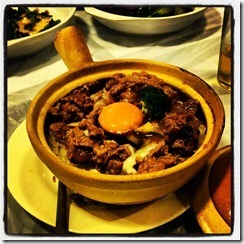 We had a social dinner one night where we trekked over to the the other side of town and had HK clay pot rice dishes. This was a crowd pleaser. Lastly, we had our elevator pitches and 10/20/30 presentations on Friday. We decided to have our own AcceleratorHK Christmas party complete with cookies, cake, hot wine, beer, and of course tequila. 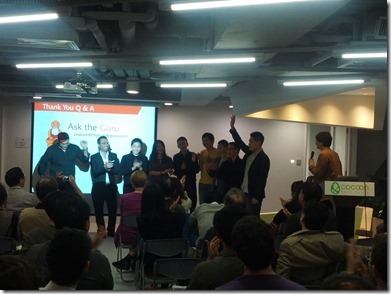 Last week marked the halfway point in the program at AcceleratorHK. All teams have progressed nicely and most are now doing full fledged Customer Validation complete with MVPs and prototypes. 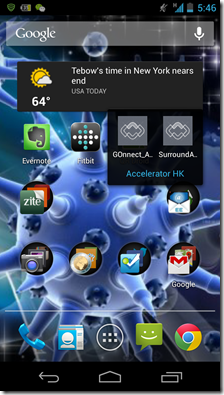 I even have one Icenium built and deployed app on my phone! 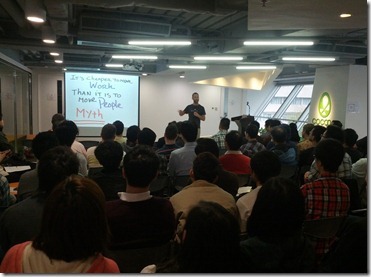 One team took their app public and tested their MVP at a real live event in Hong Kong. This was a “working” week that was light on meetings and mentor visits, however, we did have two very important events this week. The first was the HK Startup Bootcamp Demo Day. 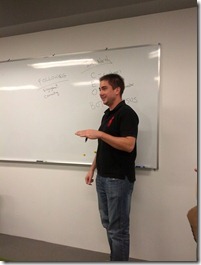 Bootcamp is also run by Paul and has 7 teams that pay for startup coaching and a three month program. The program is structured very different than an accelerator, but has some similarities, the most important being Demo Day. The cohort got to see what a Demo Day is all about; the excitement and buzz at Demo Day was amazing. Hopefully the cohort is now less nervous. In addition to Demo Day we also had mentor Patrick Lee, the co-founder of Rotten Tomatoes, come on in and talk to the teams about building a business in Hong Kong. This week is the last week before we take a Christmas break. 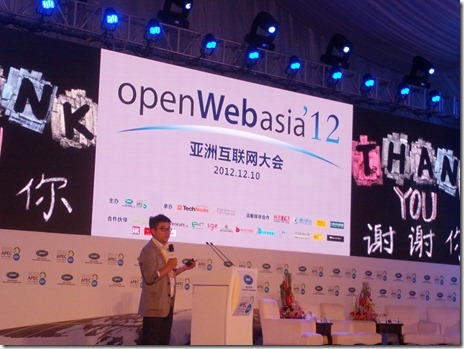 Stay tuned for more updates..
On Monday I spoke at Open Web Asia held on beautiful Hainan Island in Mainland China. The event, in its third year (year one was held in Korea and year two was held in Malaysia), was organized by Gang Lu of technode, a popular tech blog in Asia. I was asked to speak on two panels, one on “The Golden Age of Mobile” in Asia, where I made the argument that it has always been a golden age for mobile in Asia, Japan and Korea led the world in mobile a decade ago and the NTTDoCoMo iMode phone was the hot hop must have phone in 1999-2001 that lead the world in innovation. Hong Kong’s very own Yat Siu made some great points about WeChat (200m users) and Weibo (400m users) explosion due to the migrant workers in China needing to stay in touch with family and friends back home. 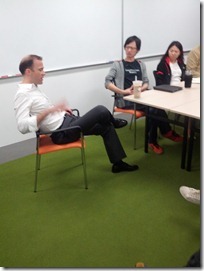 I also spoke on an investors panel about the startup investment situation in Asia. I was asked what was the #1 criteria when selecting the companies to invest in for the AcceleratorHK program and I said the team. All the other panelists agreed, I was glad that I was asked first. 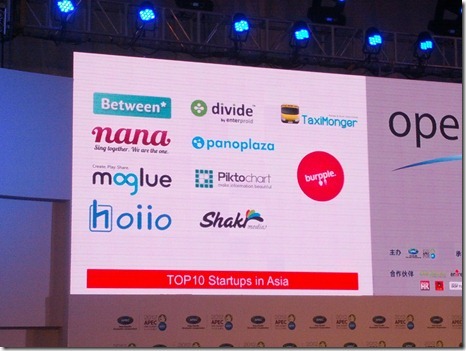 In addition to other great panels, there were startup pitches by 10 hot Asian startups. We had startups from Korea, Japan, HK, Singapore, and Malaysia presented. I loved a team from Malaysia, however I was still a little biased towards the Hong Kong startups. Lastly, the best part of the day was when the community leaders from 9 Asian countries did a presentation about the startup ecosystem in their home country then had a panel discussion. They represented very diverse countries at different stages of economic development: compare Japan to Vietnam to Indonesia to India for example. What was fascinating was that while each country was different and had unique challenges and opportunities, they all wanted the same thing: more entrepreneurs. 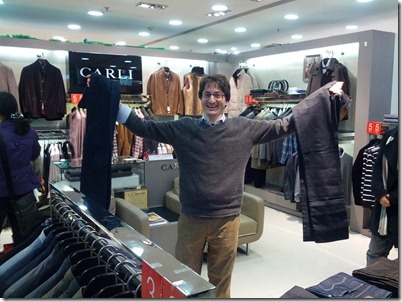 I think we may be entering the golden age of Asian entrepreneurship! 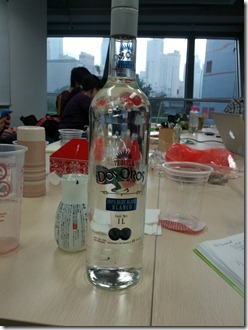 Last week was Week 5 at Accelerator HK. I can’t believe how fast it all is going, before we know it, it will be Demo Day! The teams last week worked hard at Customer Validation and have been narrowing down their segments and value propositions. They have been starting to develop MVPs of various shapes and sizes. Some of the developers have been hacking away at PhoneGap and have sent Telerik feedback on Icenium and KendoUI. We had two mentors with specific skillsets come in to spend time with two different teams as well. 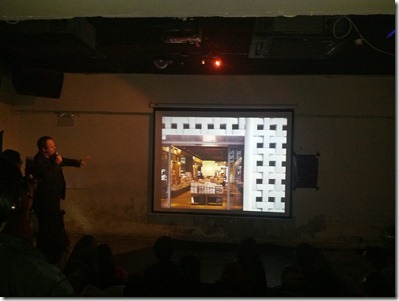 In addition to Customer Validation, we had the opportunity to attend a Pecha-kucha night in Hong Kong. We were lucky enough to have the founder of the global phenomena of Pecha-kucha nights, Mark Dytham, in town to MC. It was an interesting night complete with arguments over how to pronounce Pecha-kucha, two Macs crashing in the middle of presentations, and topped off with someone in the audience fainting. Despite all of those setbacks, the night was a great learning experience for the cohort. On Thursday most of the cohort was at the SME Expo in Hong Kong doing customer validation interviews and MVP inspection. 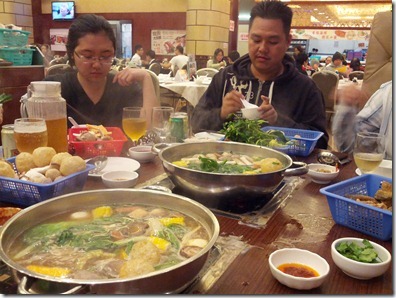 After the long day at the event, we had a Hot Pot social diner. Friday was our typical elevator pitches, Friday check-ins, founder talks, and our very own Pecha-kucha talks. Then on Saturday we went up to Shenzhen to the massive component markets to see how hardware startups operate. 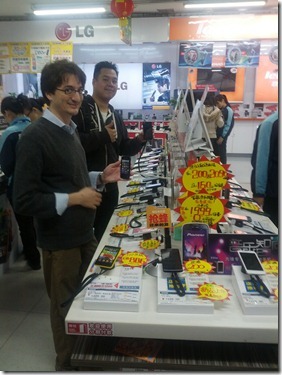 Since we are a hybrid mobile accelerator, two teams bought their first Android phone at the gadget markets. 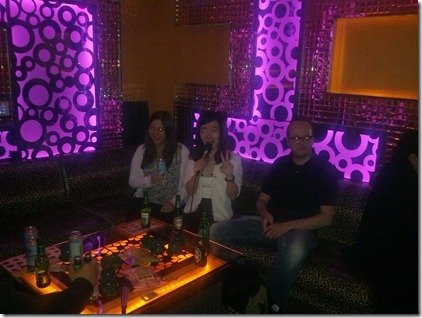 We caught up with some friends in Shenzhen and the cohort went to late night Karaoke as well as some more customer validation on Weibo. Stay tuned for news from Week 6!